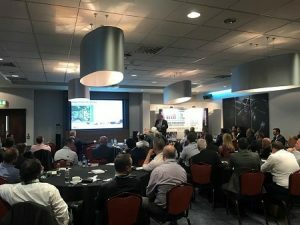 The Waste Management Brokers Association (WMBA) has announced significant growth since opening its membership at the recent RWM Exhibition in association with the CIWM. The WMBA, works to represent brokers, service suppliers and associate members in providing a united voice for the outsourced model. According to WMBA, new members come from a range of different business types from waste managers to insurance brokers and includes, The Shredding Alliance, Simply Waste, Weir Waste, Olleco, Lowmac Alloys, Hills Group and Thomson & Richardson. The Association has also announced plans for its first event designed specifically for UK brokers. The interactive event will look at how the sector can work more closely together to raise the profile of the outsourced model, build closer relationships with its supply chain and continue to innovate to deliver environmentally and commercially sustainable solutions for customers.